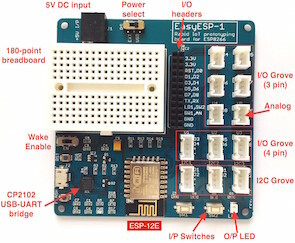 ESP8266 is an inexpensive serial-to-wifi tranceiver chip that allows to connect any microcontroller with a serial port to a WiFi network. Because of its simplicity and low cost, it is getting popular among hobbyists for building Internet of Things (IoT) applications. 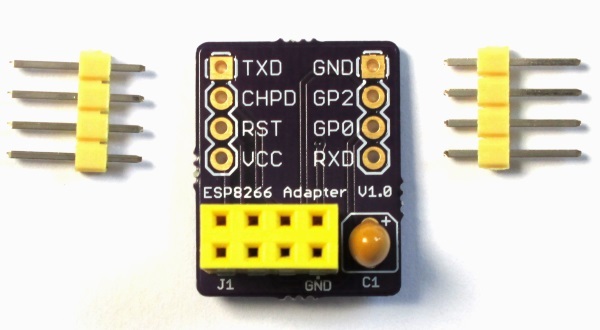 While there are varieties of breakout boards available for ESP8266 from the Chinese markets, the most popular one is the ESP-01 version that provides access to the ESP8266 pins through a 2×4 male header. While the headers are 0.1″ pitch, the pin arrangements are not breadboard friendly and are not labeled on board, which makes it little inconvenient for breadboarding. 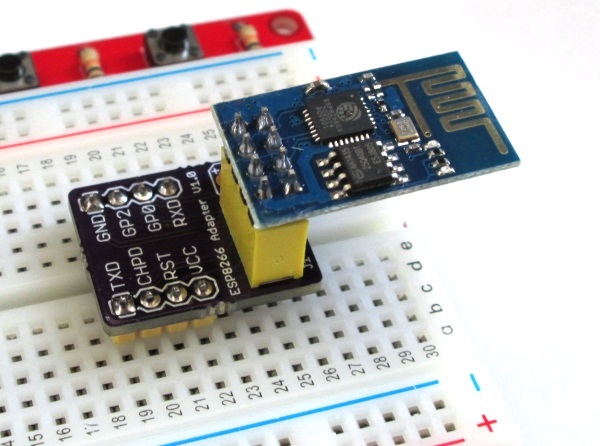 I have designed a very simple breadboard friendly adapter (shown below) with clear pin labels printed on the board to make prototyping with the ESP-01 module easier. 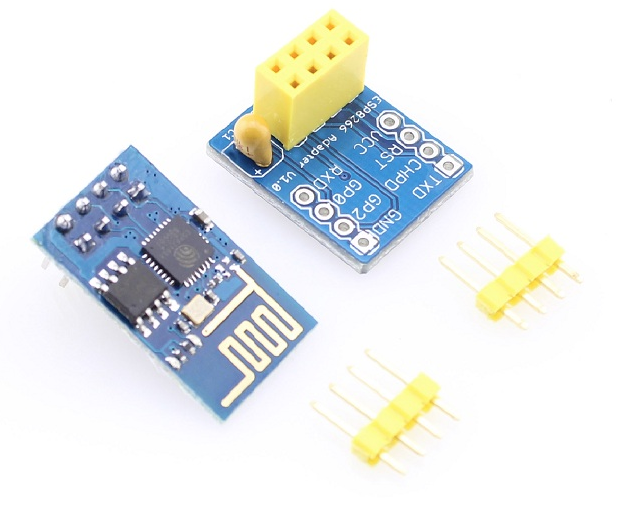 The adapter has a 2×4 female header to receive the ESP-01 module and a 10uF power supply filter on board. 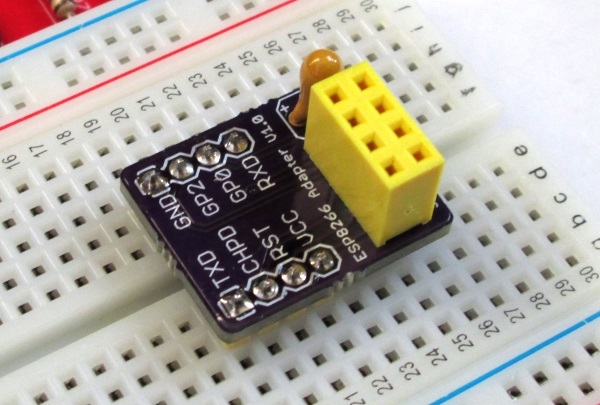 The ESP-01 module pins are accessible through two single row headers that are breadboard friendly. The Eagle design files are provided at the end of the page. If you are interested, you can get this adapter from our Tindie Store.